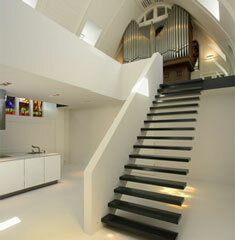 Like the Water Tower House, this is another great conversion by Zecc Architecten. 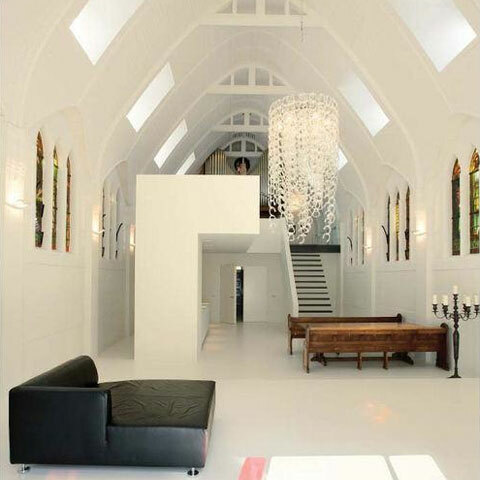 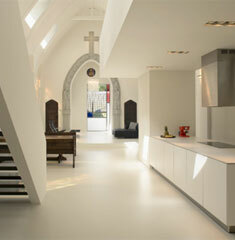 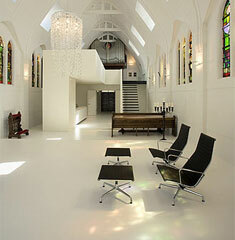 This time they restored an old chapel located in Utrecht, Netherlands, into a spacious apartment. 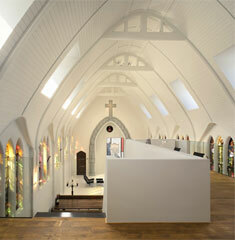 The character of the little chapel has been respected and enhanced were possible. 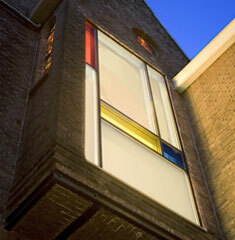 The windows maintained the original stained-glass up on high, the firm only added one floor high window on the street side to increase daylight. 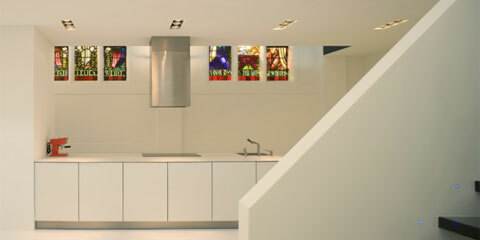 The interior balcony, that hold the organ, define the different living areas such as the living room, eating room, kitchen and study.